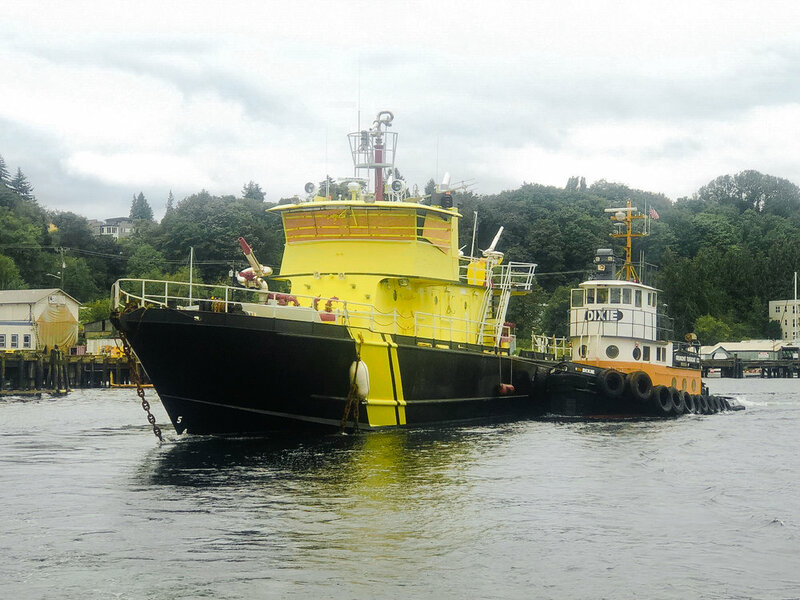 Fremont Tugboat Company has been serving its clients in Puget Sound and Lake Union since 1915. We take great pride in the service we provide and it shows. We operate a full service marine towing and salvage company as well as offering bare boat charter of vessels. We have the equipment and expertise to get the job done and available 24 hours a day. "If it floats we tow it"
This was and still is our motto today. We are a unique marine towing company that offers the kind of service our customers require. We have the equipment and the knowledge to provide many additional services to our customers as well. We are always available to consult with our customers on custom projects. Custodial services of stored vessels. Custom fabrication in Steel, Aluminum, Wood and most any material you can think of. YOU provide the imagination AND let us handle the rest. For many years we set up the Shilshole Boat Show and have been setting up the Seattle Boats Afloat show for the last 10 years for both their summer and winter events. We can set up and anchor many types of events on the water. We have the contacts to procure floating sectional docks and barges as well as a working knowledge of what is needed to be compliant when working over the water. part of the day to day operation of the company. If you need renewal of chains on your houseboat, small dock repair or if you need to renew the tops of old pilings with a cement sleeve. We can help. For over 100 years we have been in the maintenance business, but have not advertised this to our clients. 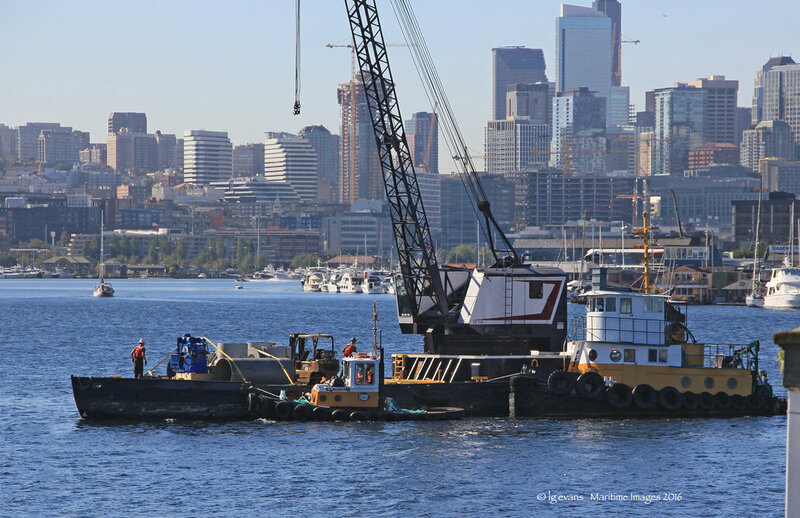 Maintaining docks and waterfront facility in Lake Union was just part of the day to day operation of the company. Over the years we have helped our friends and neighbors with these same projects when the need arose. Now we would like to help you. From wood planked pier repairs, to mobile welding service on the water. Give us a call. We love the small jobs too. 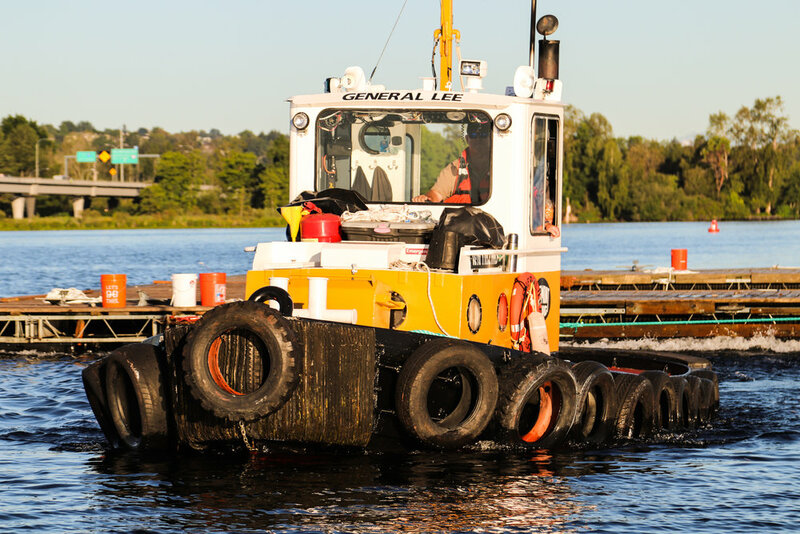 Ever since Cap Webster opened for business in 1915, we have been maintaining and refitting our tugboats, Barges and facility with our own crew. Back then it was lumber and nails, while today seems to be more about Steel and aluminum. Fremont Tugboat offers a wide variety of services to its customers. We have built gangways, wheelhouse conversions, custom deck lockers, exhaust parts, davits, rudders, anchor rollers and winch pads just to name a few. We also offer mobile welding service if needed. we service in and out of the water. Fremont Tugboat Company also offers diving service to its customers. Floatation barrels under houseboats, small underwater repairs, replacing of zinc anodes and propellers, are just some of the services we can provide. As well as recovery of sunken items, salvage, or the renewing of mooring buoy pennants and chain. '"A special part of Seattle history has just turned 100 years old." "Their family owned third generation tugboat company provides their customers with quality service at a fair price."